Our Holiday Gift Guide is Live | Oh, Ranger! Holiday shopping procrastinator, fear not—our holiday gift guide is live! We've got great ideas for adventurers, kids, foodies, travelers and even those hard-to-shop-for people on your list. 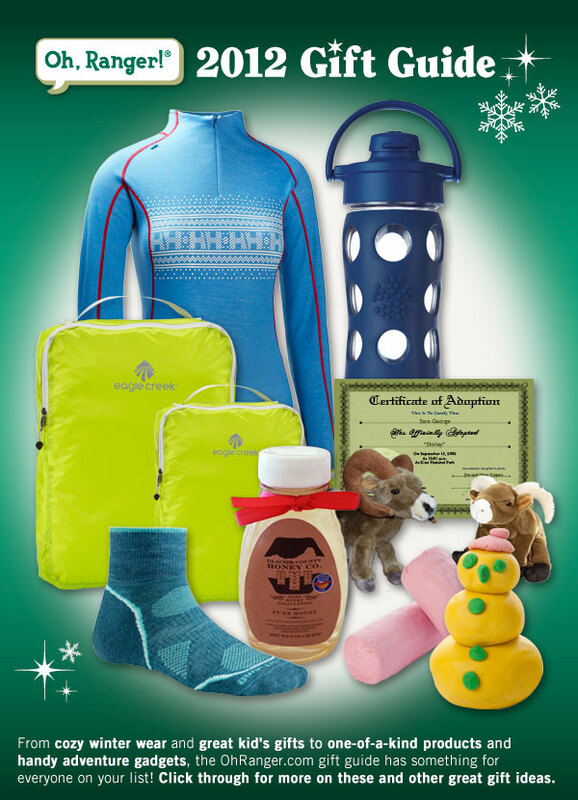 From cozy slippers and blankets to indespensible packing tools, stocking stuffers, and park-related treats, we've got you covered. Head on over to our 2012 Holiday Gift Guide for some inspiration.